The pure taste of icy cold menthol will cool you down and provide a relaxing feeling. A refreshing menthol kick! This is what you will get with Rush Salt Menthol e-juice. The pure taste of icy cold menthol will cool you down and provide a relaxing feeling. 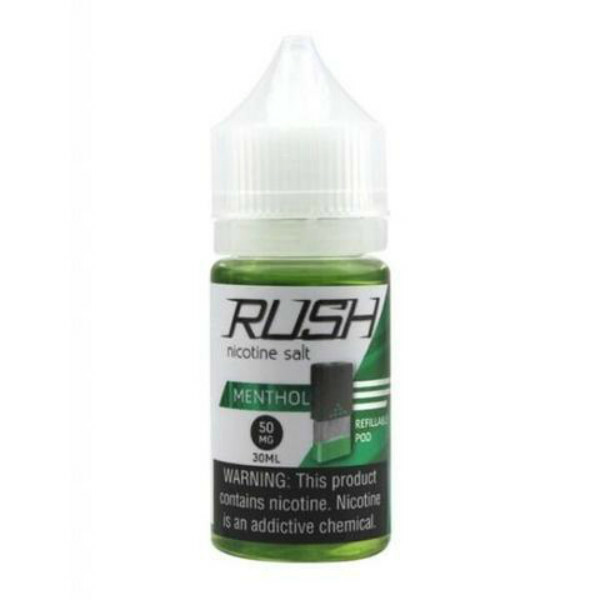 In order to bring you fast nicotine satisfaction, Menthol by Rush Salt line from X20 Vapes brand is made with a nicotine salt formula. It has 50mg nicotine strength. You can use this e-liquid with various pod mod devices and similar low output systems. The vape juice is sold in a 30ml unicorn bottle. If you want to get refreshed while vaping, Menthol vape juice is a good option for you. Its icy menthol taste will bring you a cooling effect you can enjoy the whole day long. best tasting menthol nic salt. Problem is you can’t find it ANYWHERE!! !